Ukrainian TV journalist Julia Gorodetskaya (@gorodetskaya) has become the first person to send an underwater tweet on Twitter from a 19-foot-deep pool of dolphinarium, Nemo in Odessa, Ukraine. It was organized by national mobile operator Kyivstar and was broadcast live to the Internet. 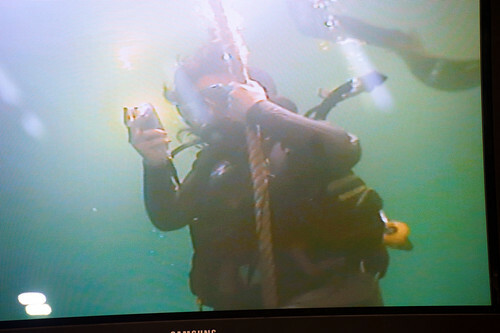 Underwater tweeting is all set to become a craze? Catch the buzz trending on Twitter at #underwater_tweet.